By Xah Lee. Date: 2006-06-30 . Last updated: 2019-02-02 . 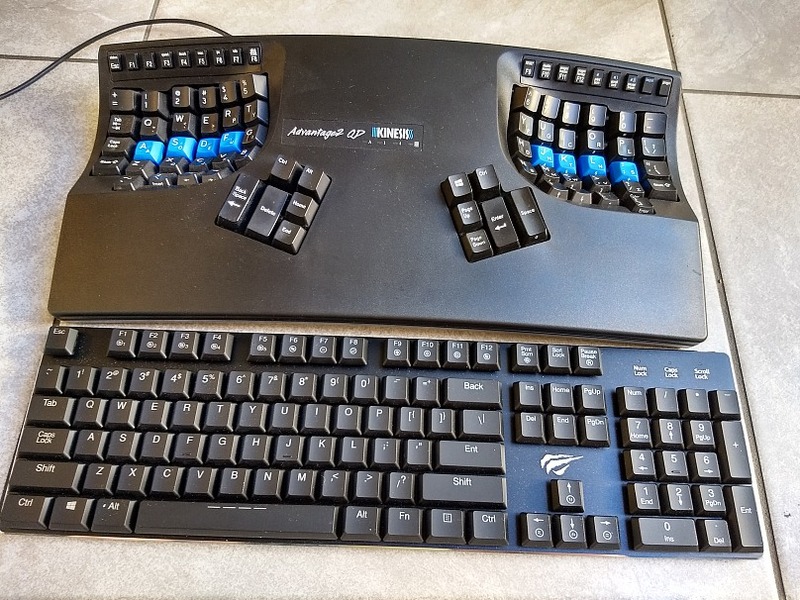 The Kinesis Advantage2 keyboard came out in 2016-08 . I've been using it for over a year now. It is my current keyboard. 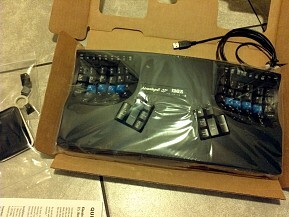 68 full-sized keys, plus 18 small function key buttons. 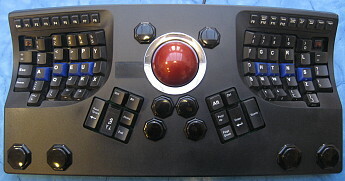 Kinesis Advantage 2, right side. Those functional key buttons are mechanical keys, Cherry ML switch, with plastic key cap. Also, see the “progm” key on the right? That key lets you switch key layouts, or set your own key remapping, or program key macros. That's it. Now, pressing Caps Lock will send Ctrl signal. To make a key back to default, you can simply start remap and press the key twice. Hold progm then press F11. Release both. That's it. Now, pressing F2 will do Copy. The triggering key can be a key chord. For example, you can make Ctrl+n do →, so that when holding control, right hand keys can become arrow keys. 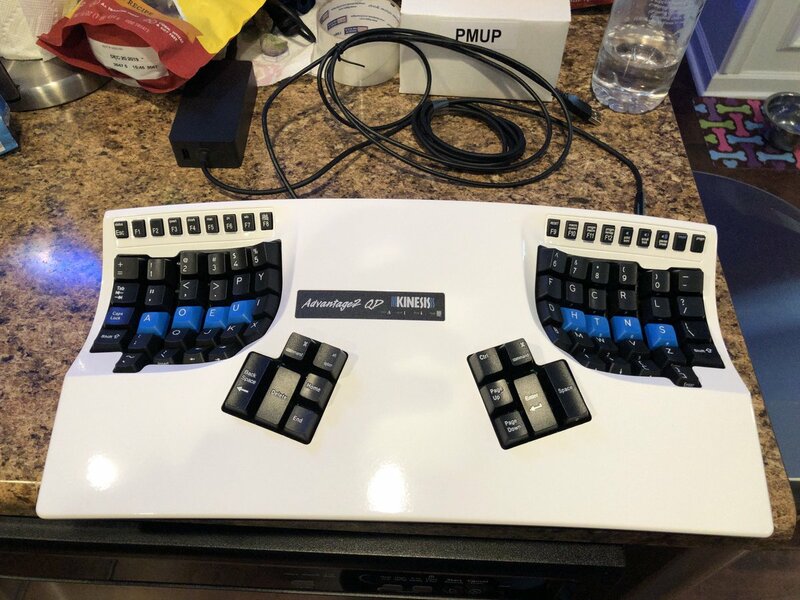 There are several quality designs that went into this keyboard. I explain each item below. Control key is now pressed by the most powerful finger the thumb. Sculpted thumb keys, with different height and shape, designed for comfort. The ⌫ Backspace key is one of the most frequently used key, now it's under your thumb too. Left side. Look at the keys 1 Q A Z, forming a straight line. Staggered column from mechanical typewriter, so that the levers at the bottom of the keys can be aligned. Mechanical switch is very nice to press, lighter, easier on the fingers, and gives you tactitle feedback. Mechanical switch also lasts hundreds times longer than common rubber dome switches used in normal keyboards. 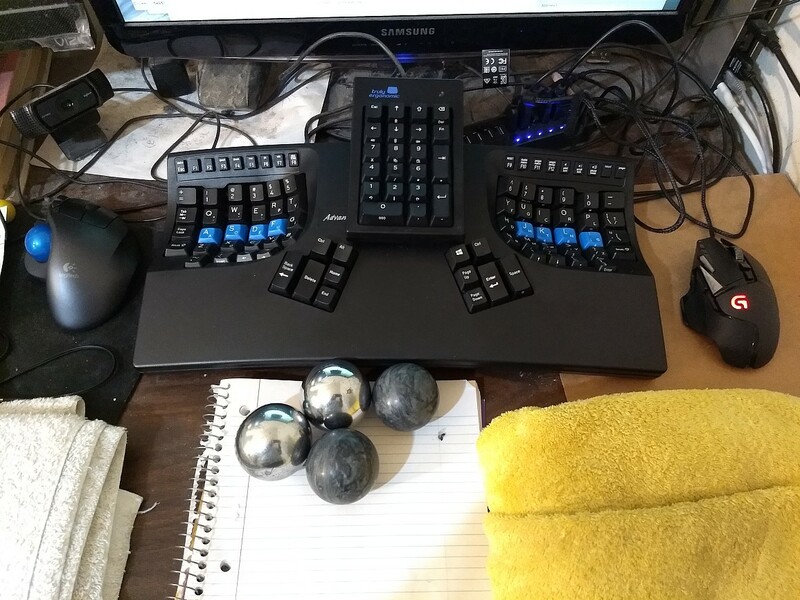 Many people i know have Kinesis for over 10 years, and the keyboard is still going strong. Model LF (linear feel) uses Cherry MX Red for the main keys. 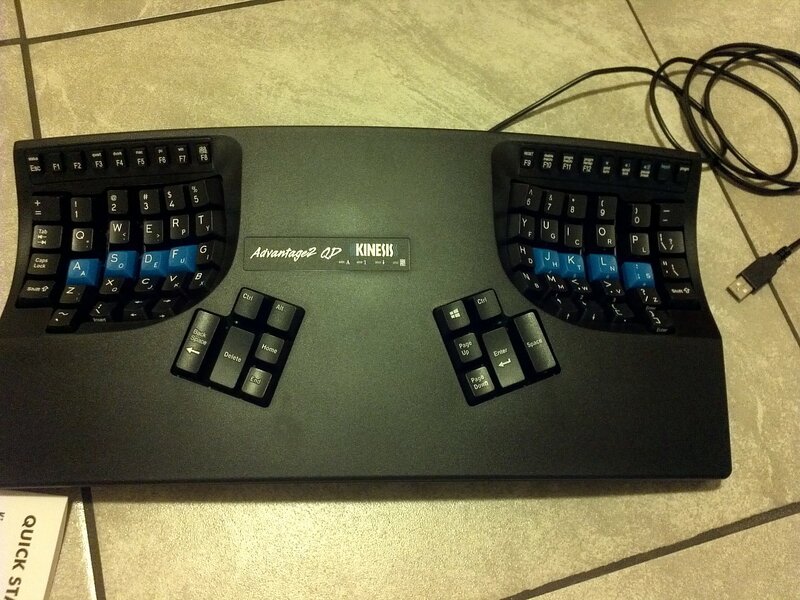 Other models uses Cherry MX Brown, which has light tactile feedback. Which type of key switch to get depends on the person. I use it on Linux and Mac. It's plug-and-play. Works in Microsoft Windows, Mac, Linux. Included 4 extra keys, for the Mac. And comes with a key puller. I thought it might take me sometime to adjust to the bowl-shaped surface, but to my surprise, i typed on it like a pro the first day. I've been typing on a grid-layout keyboard for past 3 years, but never on bowl-shaped surface before. 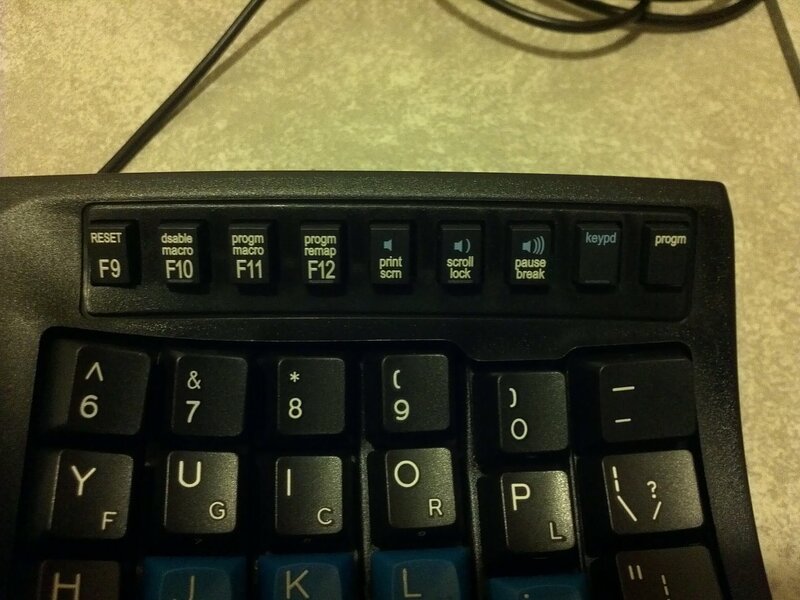 The function keys F1 to F12 are tiny. I prefer full-sized keys, because full-sized keys are easier to use. I'm Chinese. My hands are smaller than average white people's hands. The 2 primary thumb keys are easy reach, the ⌫ Backspace and Space. Other thumb keys require reach. If your hands are small, do not try to press the thumb keys by stretching. Press the thumb keys by moving whole hand. For example, I move my whole hand to press Alt key, and move hand slightly to press Ctrl key. Moving hand is healthier than stretch. If you are Asian Female, Kinesis may not be for you. 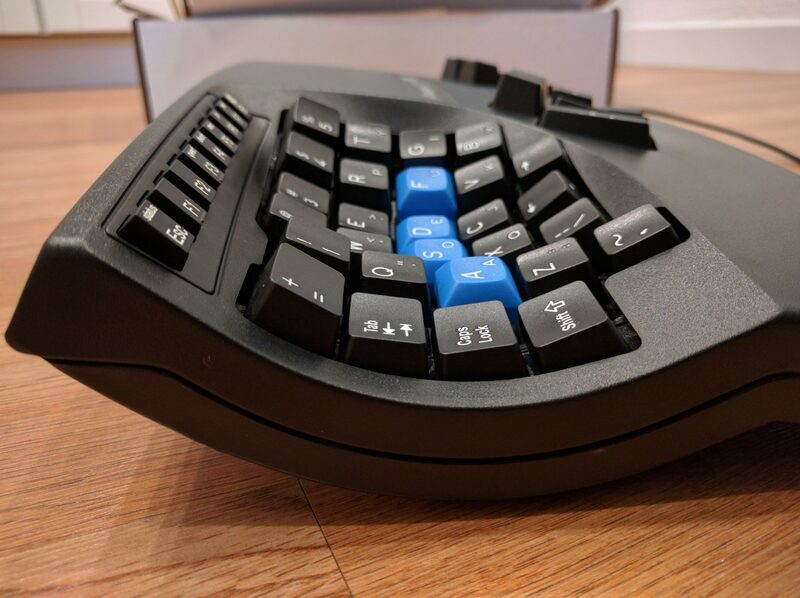 By default, QWERTY and Dvorak layouts are builtin, in any of the Kinesis models. You can create your own layouts. For example, placing Escape key on the thumb, place Ctrl Alt ⌘ command ⌥ option ❖ Window or arrow keys on any key position you like. You can easily switch to any layout by pressing a few buttons. 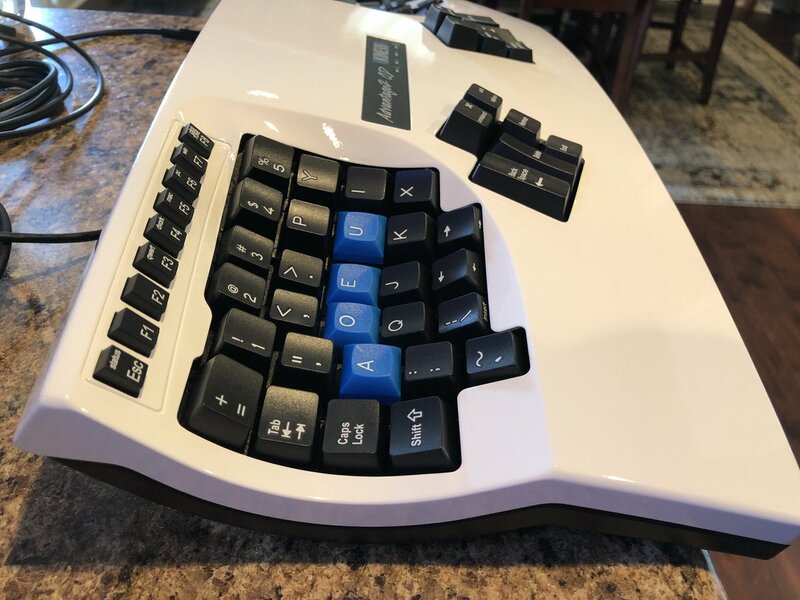 Kinesis is perfect for vim or emacs. Make the most easy thumb key do Escape. Or, make Caps Lock do Escape. ergoemacs-mode at http://ergoemacs.github.io/. You should set the ⌫ Backspace as Alt. For small hands, set right arrow key as Alt. Most efficient, modal. Emacs: Xah Fly Keys. Set Caps Lock as Home. Note: all models has Dvorak layout builtin. 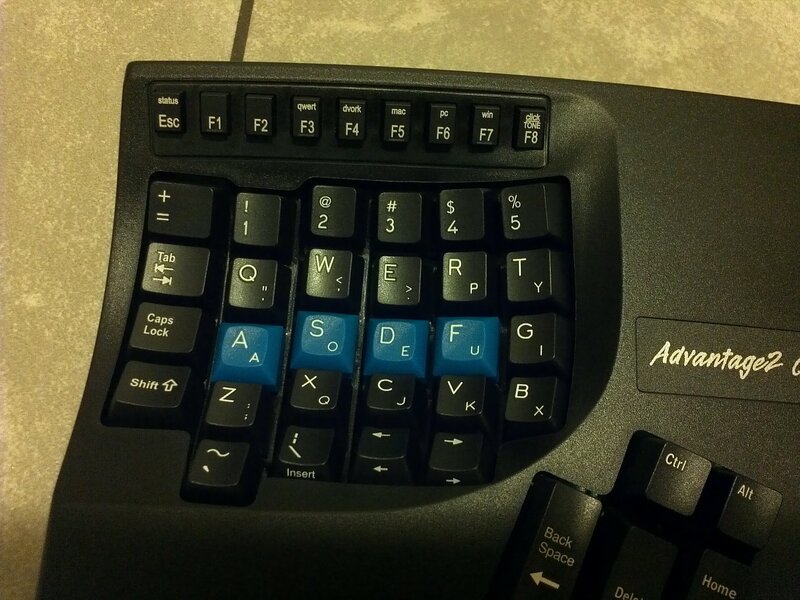 The one with Labeling Qwerty/Dvorak provides you dual key labels. 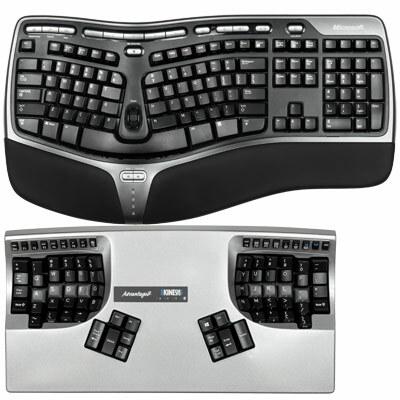 What's the difference between Kinesis Advantage and Advantage2? Advantage2 is newer model, released in 2016-08 . Advantage2 has mechanical keys for the function buttons at top row. Cherry ML mechanical switch, with plastic key caps. 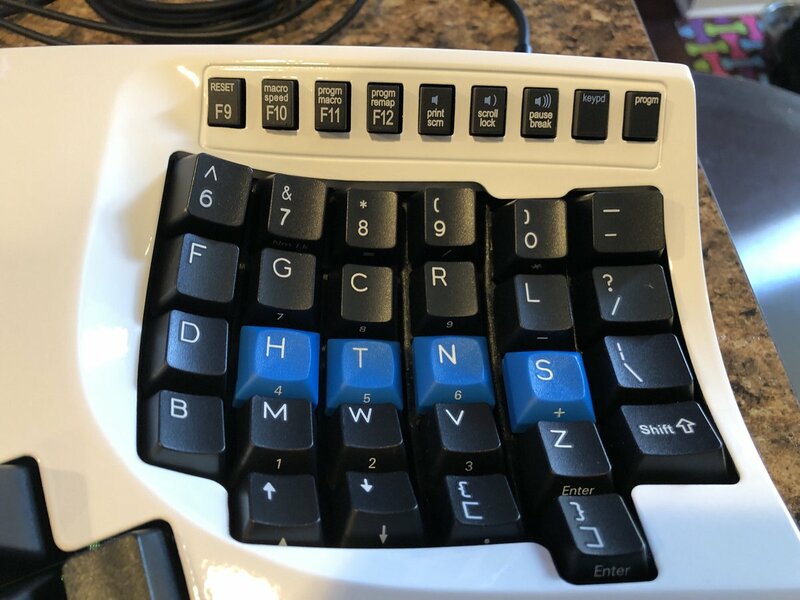 Original Advantage had rubber buttons. 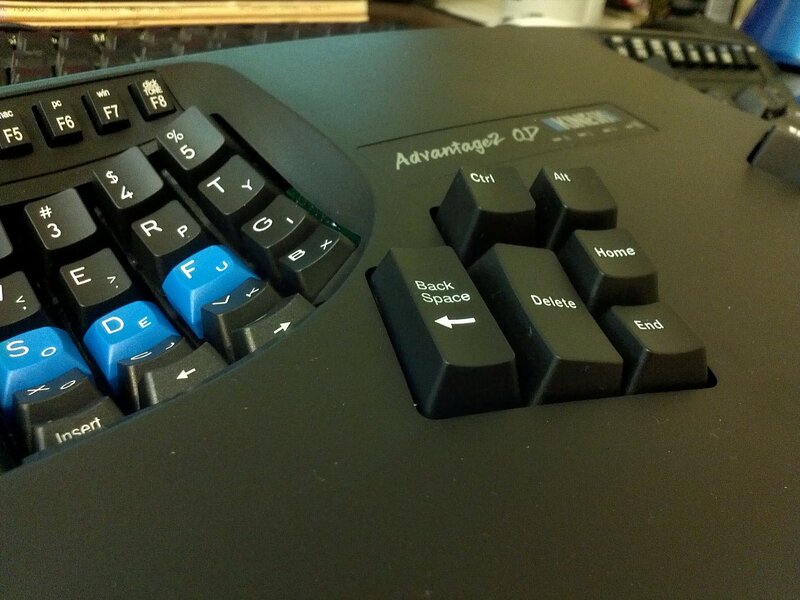 Advantage2 has a new engine SmartSet for programing the keys. Advantage2 has 2 megabytes of memory. Original Advantage has 4k. Advantage2, key macros and layouts are stored as text files in the embeded flash drive. You can open and edit and load the text file, or share it with friends. No special driver software needed. The shape and size of keyboard is exactly the same.